At the year of 1907 Franz Gustaf Wennberg opened a grocery shop in the lapplandish mine village Kiruna. In the village who got the name from the sami word for Snowbird, Giron, not only mining workers lived but also many sami people. 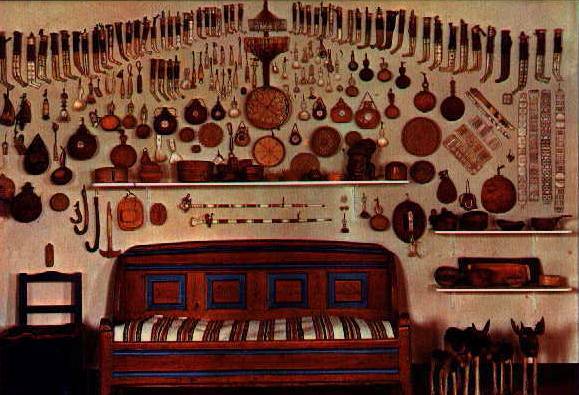 The sami people often payed for their goods with their own handicraft like knifes and cups etc. As the time passed, the grocery shop changed direction to sell more and more of the sami art until it finally became a specialized sami art and handicraft shop. At this time the shop was managed bu the son Carl Gustaf and his wife Greta. In 1965 when Carl Gustaf died his son in turn Per Gustaf took over the shop, and in the beginning of the 90:ies Per left the shop to the fourth generation Carl Magnus.